Nikon Vision Co., Ltd., a subsidiary of Nikon Corporation, is pleased to announce the release of the Digiscoping Adapter DSA-N1 and Digiscoping Bracket DSB-N1, both of which can be attached to a Fieldscope in order to connect it with one of the Nikon 1 cameras. Popular among birdwatchers, Digiscoping is a form of super-telephoto shooting using a Fieldscope attached to a D-SLR camera or compact digital camera. The Digiscoping Adapter DSA-N1 and Digiscoping Bracket DSB-N1 have been created exclusively for Nikon 1 cameras, making Digiscoping simple, easy and enjoyable. 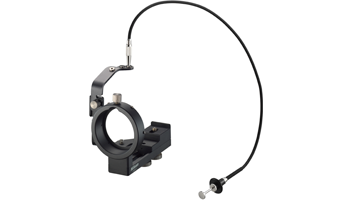 Attaches to a Nikon Fieldscope easily, since optical axis adjustment is not required. *1Depending on the type of camera and eyepiece, illumination fall-off and shadows may occur at the peripheries. Noise in the form of lines may appear in pictures depending on the shooting condition. *2Depending on the type of camera and eyepiece, vignetting and shadows may occur. 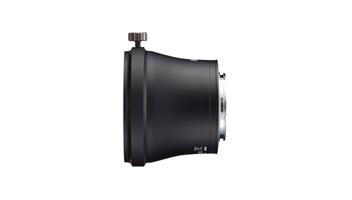 Carefully adjust the optical axis so that vignetting and shadows are minimized. Vignetting and shadows may not completely disappear. Noise in the form of lines may appear in pictures depending on the shooting condition. *3Firmware A and B should be upgraded to ver.1.20 or later.